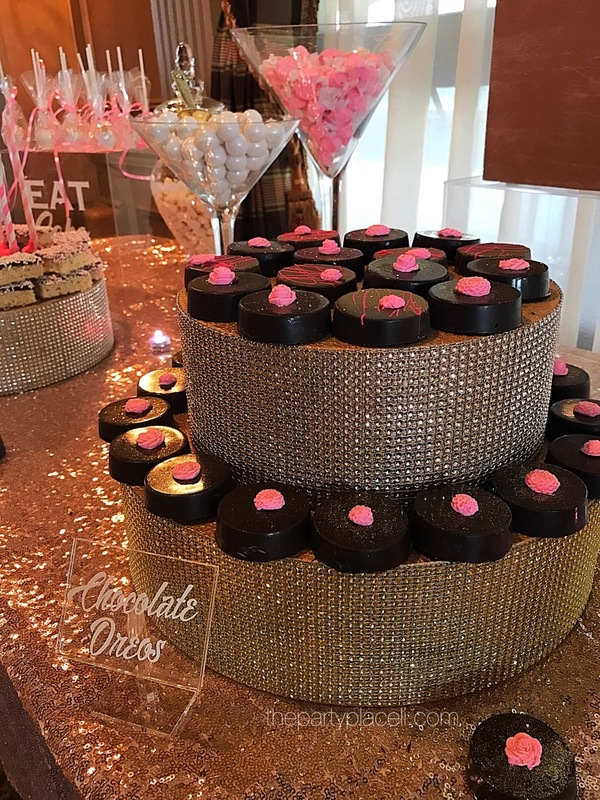 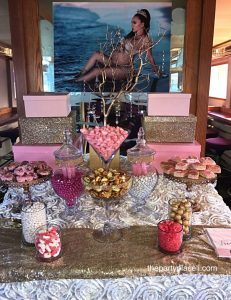 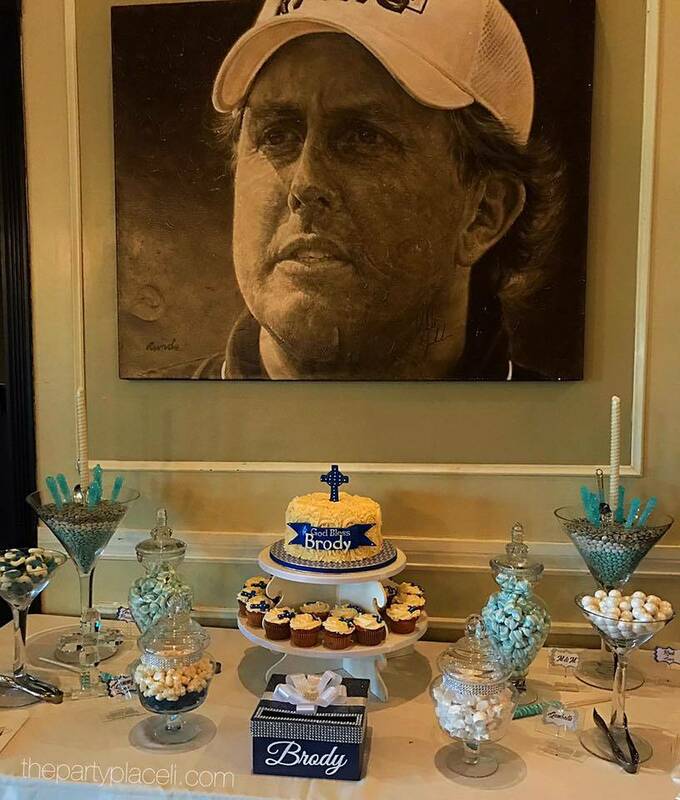 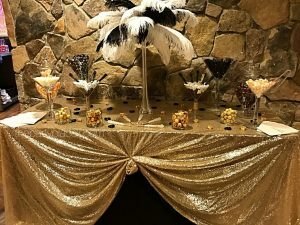 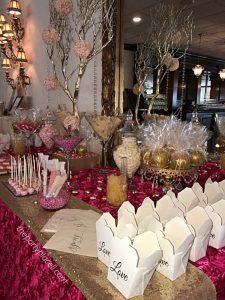 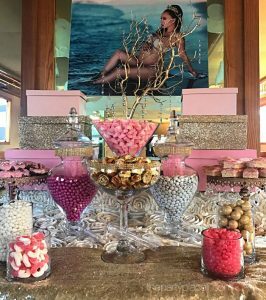 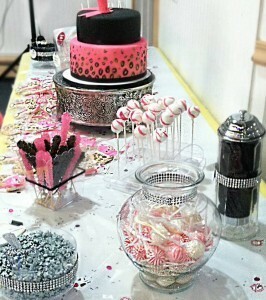 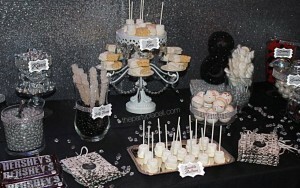 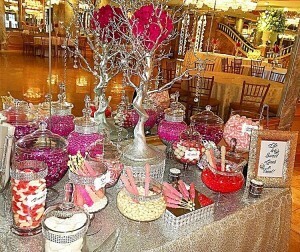 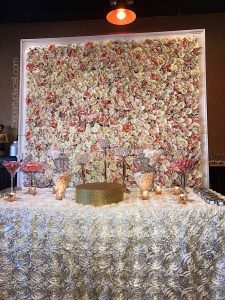 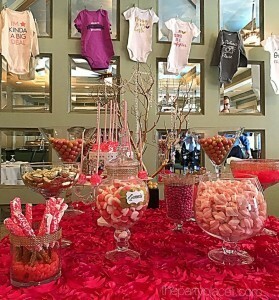 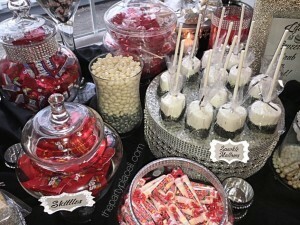 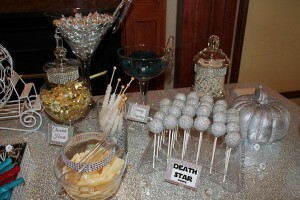 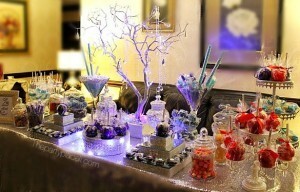 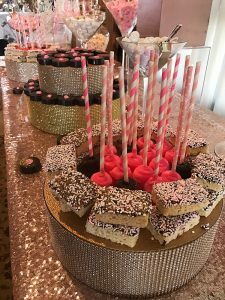 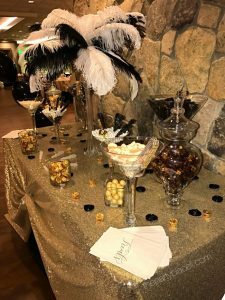 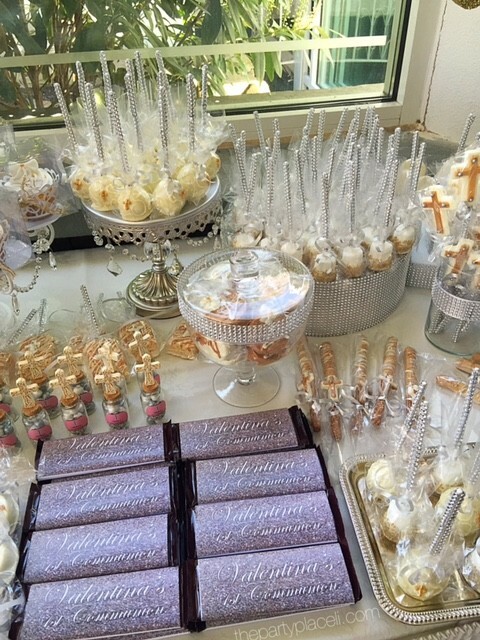 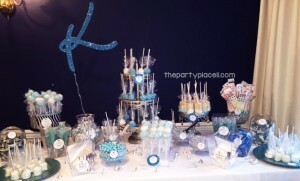 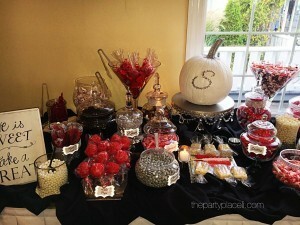 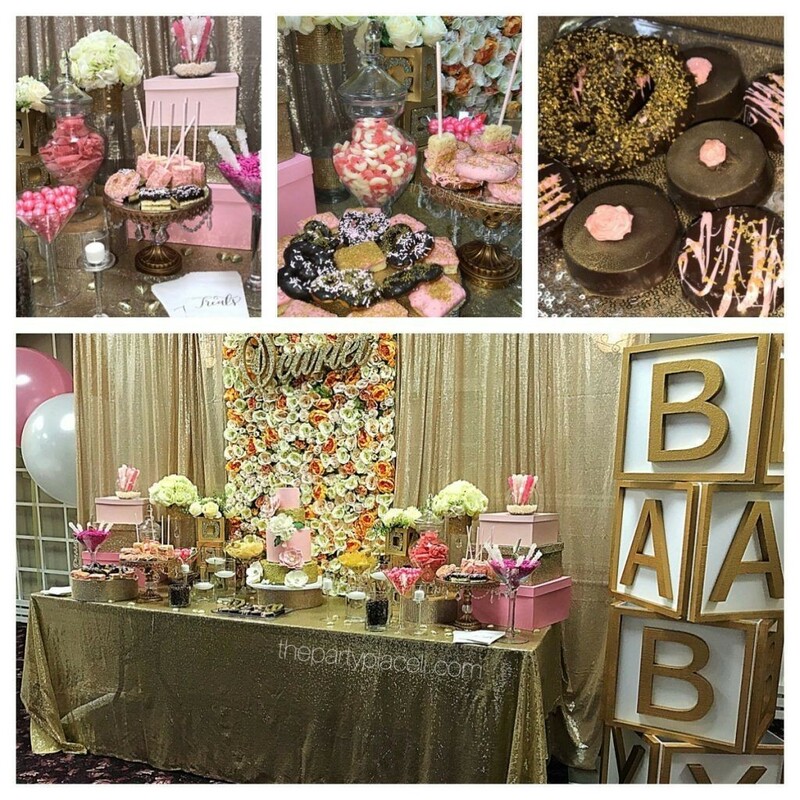 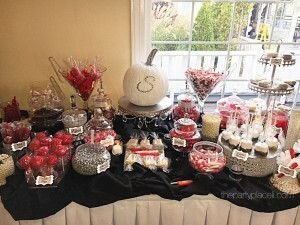 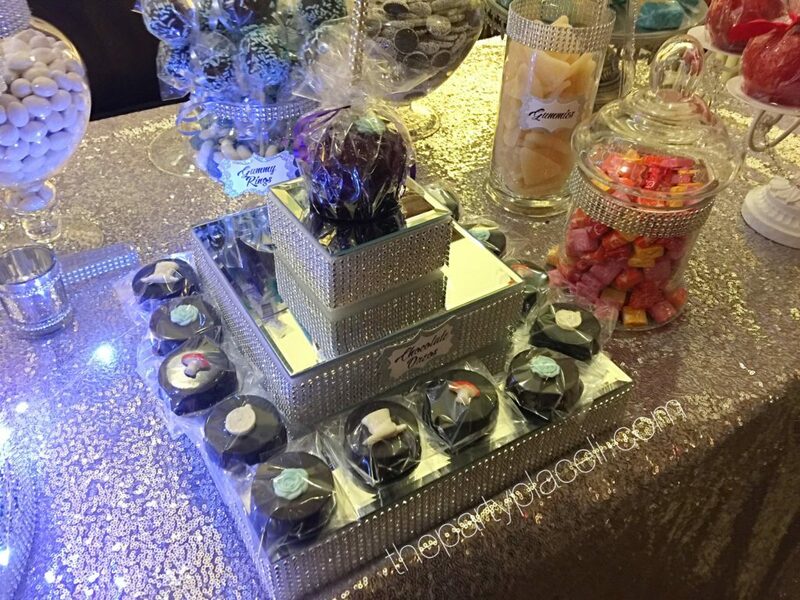 Let us design an amazing candy buffet for your upcoming event! 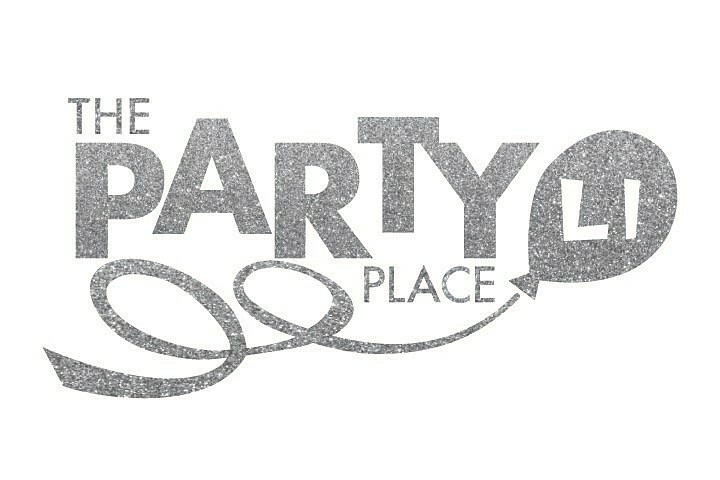 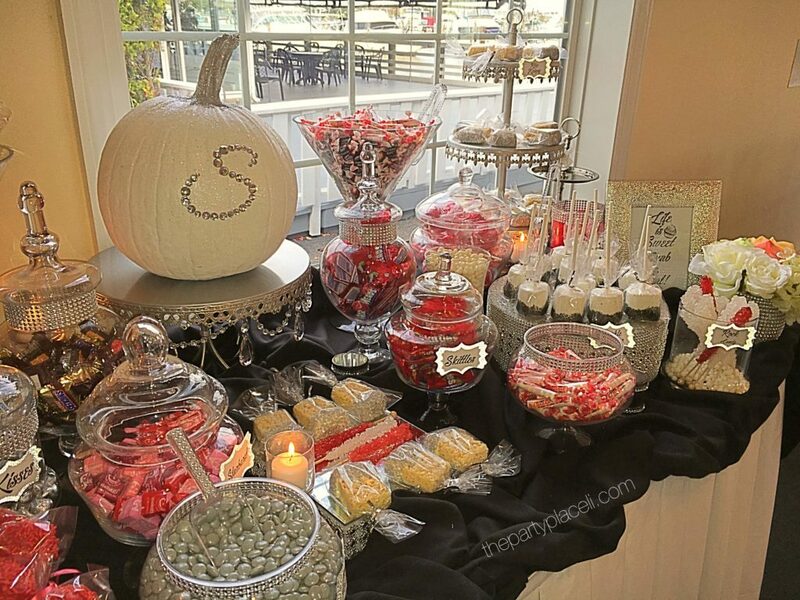 We have an absolutely huge selection of every type of candy in tons of colors to fit your theme. 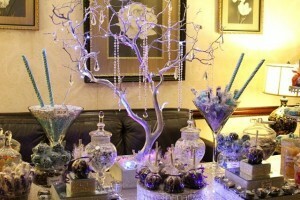 Our custom displays start at $500. 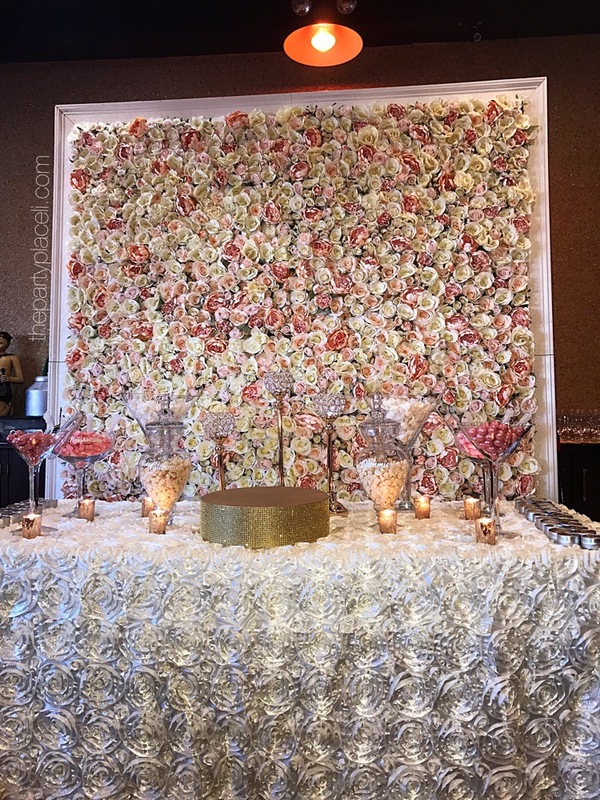 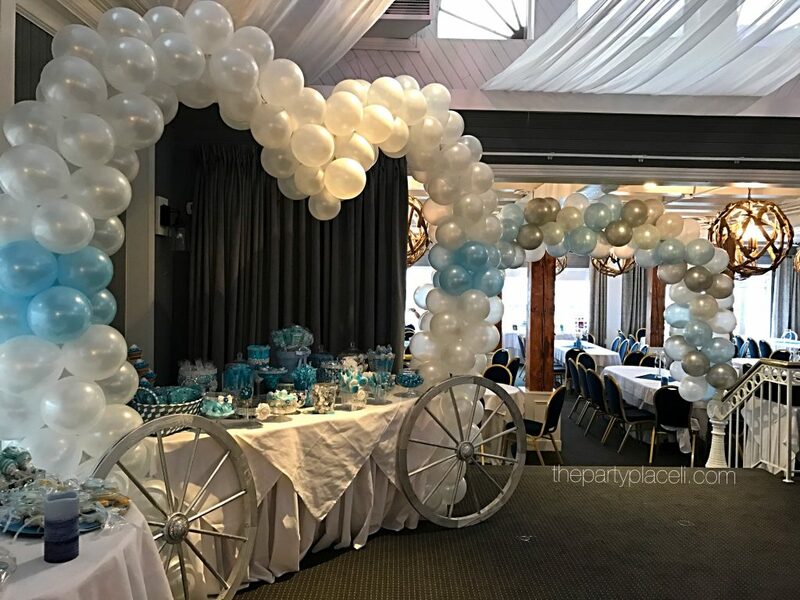 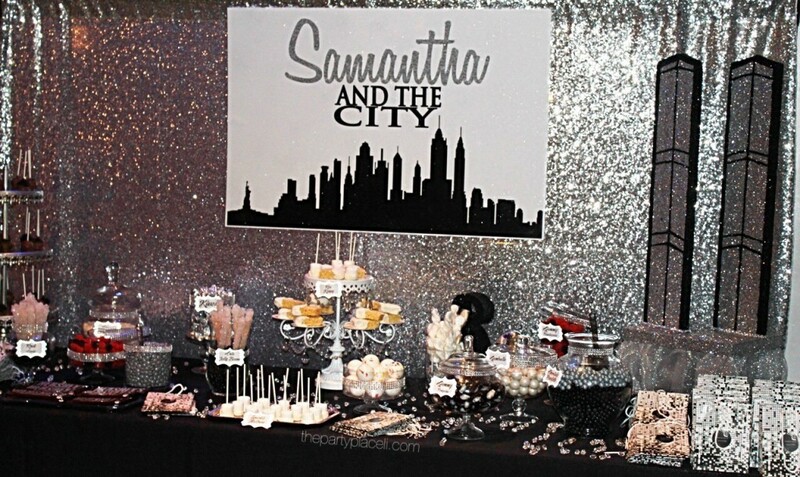 Add props, custom bags/take out boxes and backdrops for the perfect finishing touch! 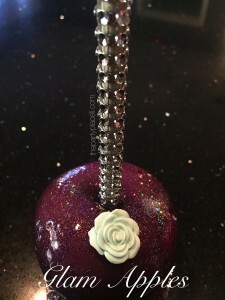 Scroll down to view extras. 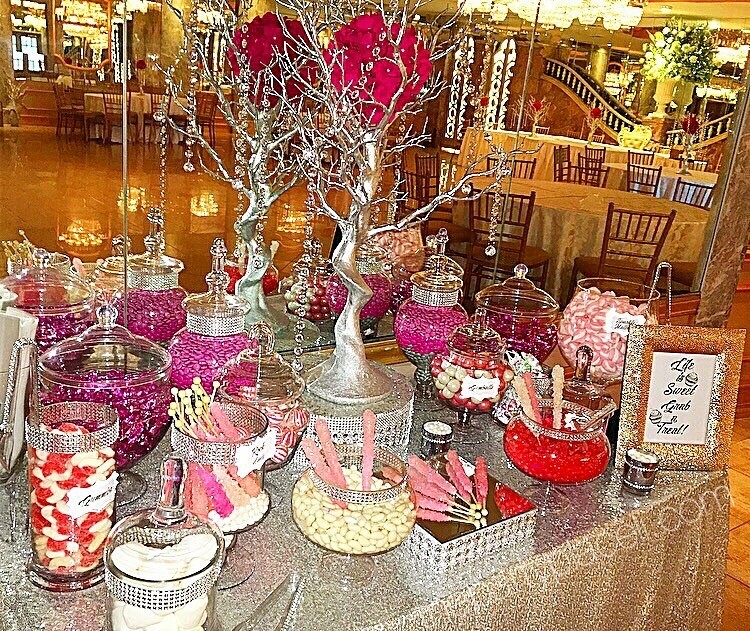 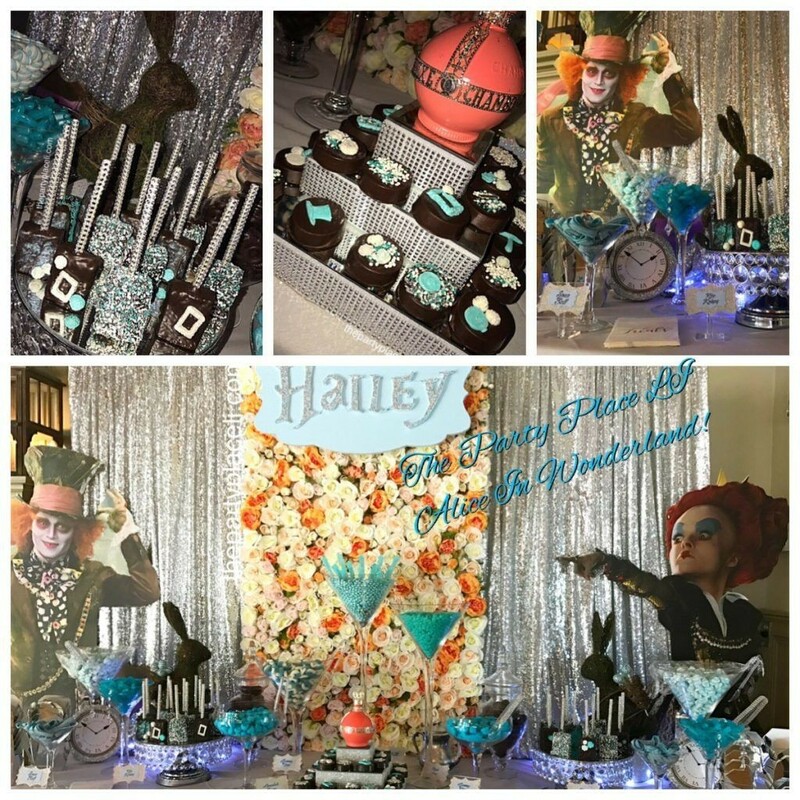 Video: Alice in wonderland wedding candy buffet with manzanita tree! 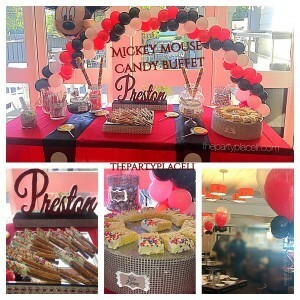 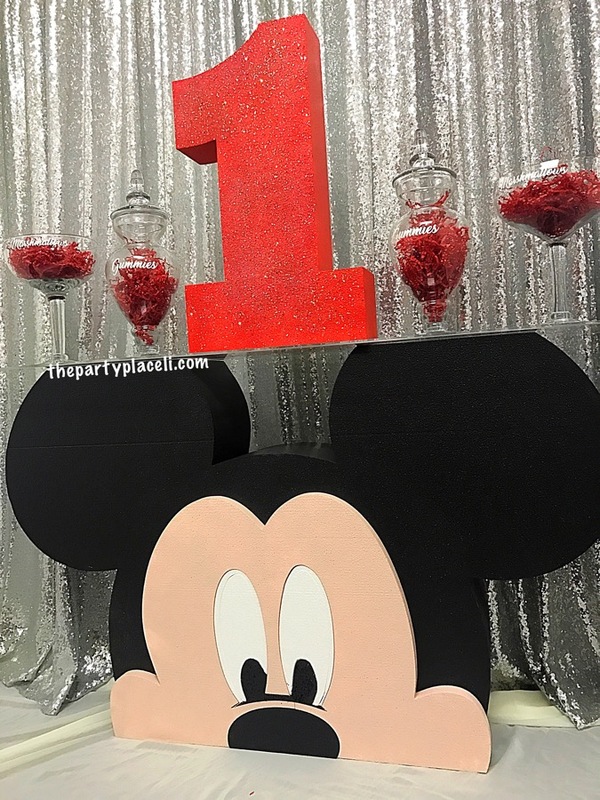 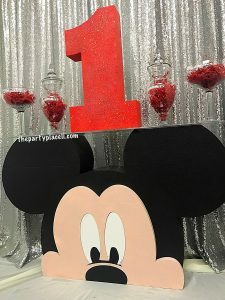 Mickey Mouse Inspired Candy Table! 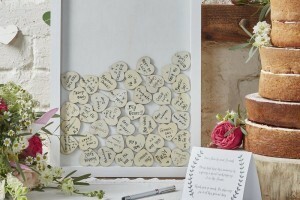 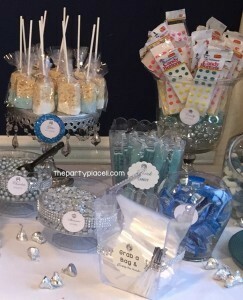 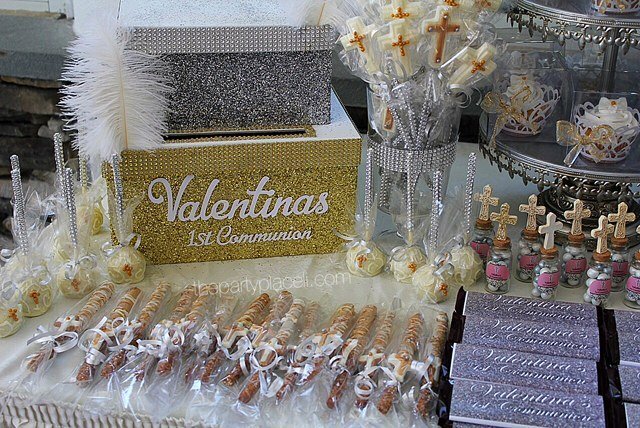 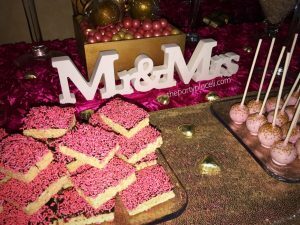 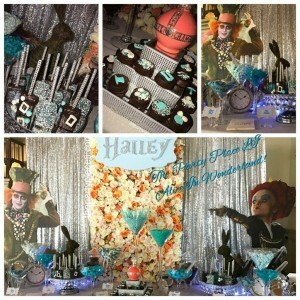 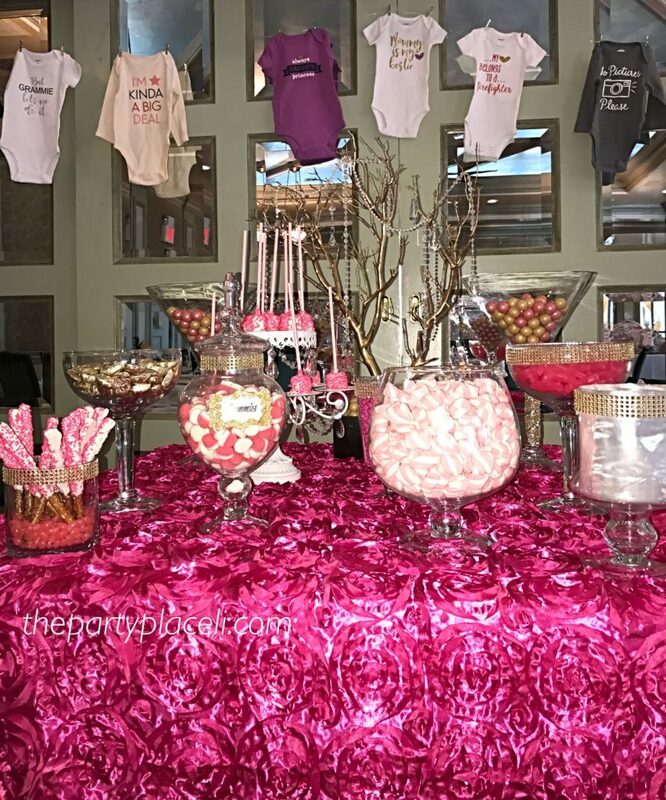 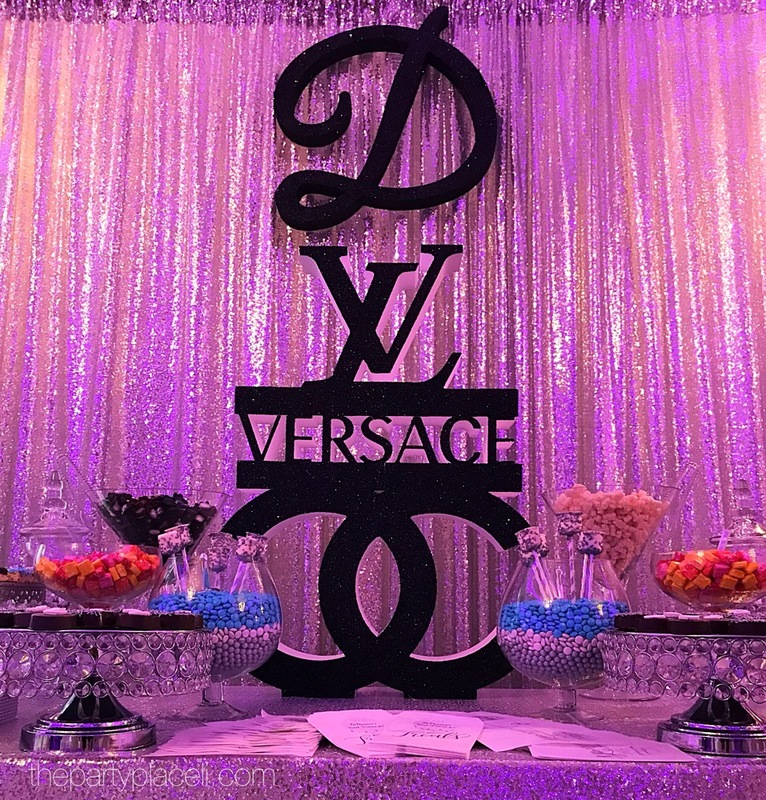 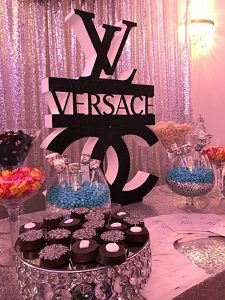 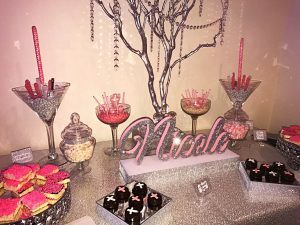 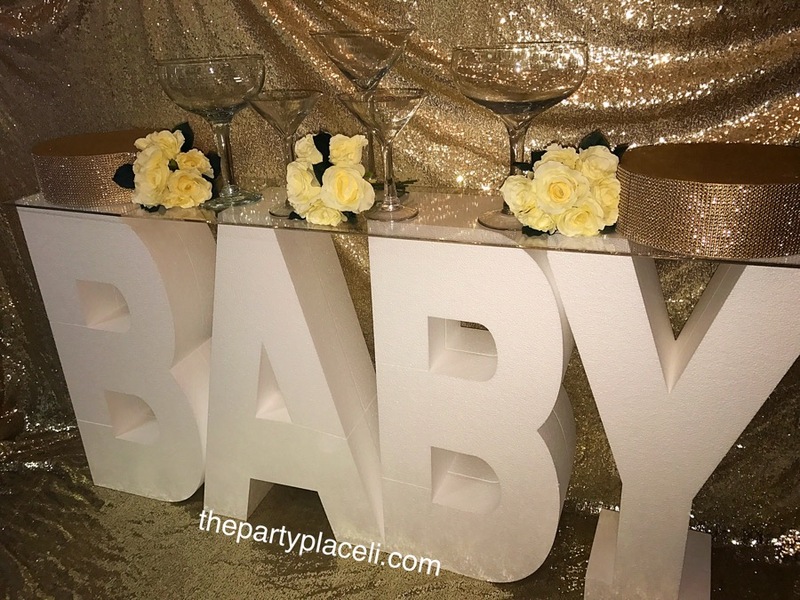 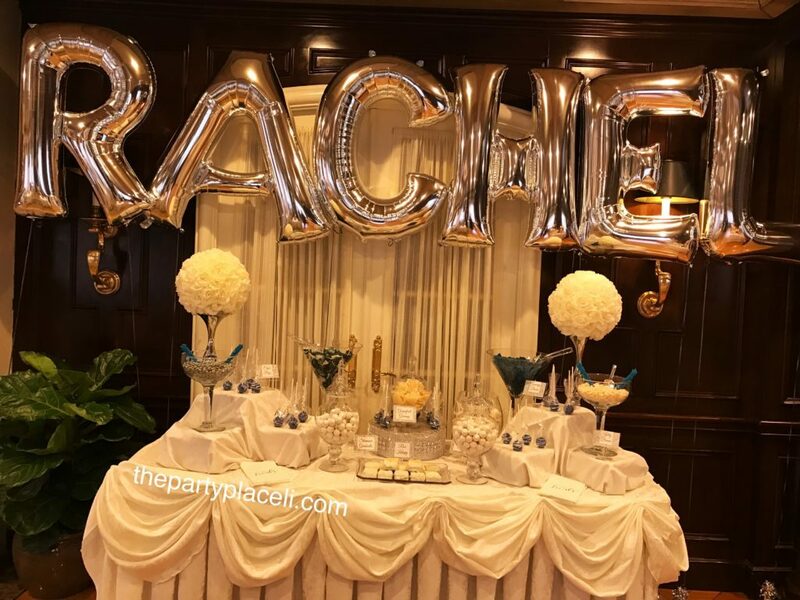 We create custom candy tables with huge sayings, letters, monograms & more! 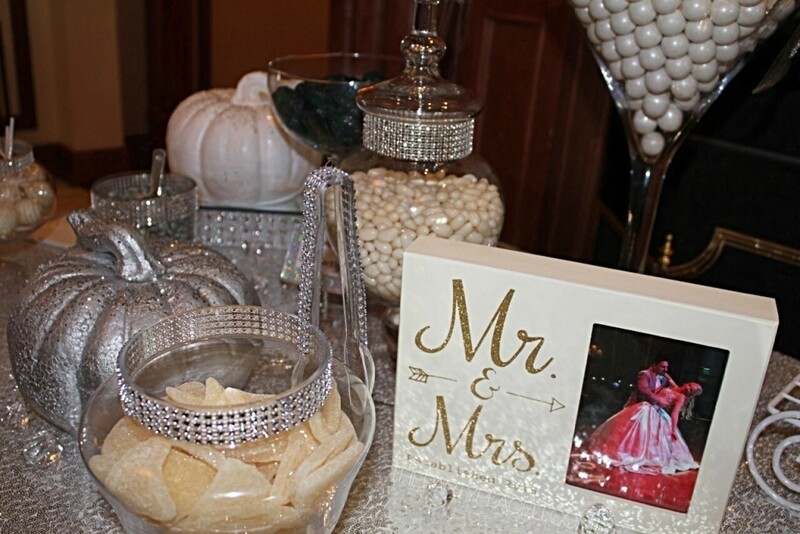 Fall wedding featuring custom white pumpkin with initial bling! 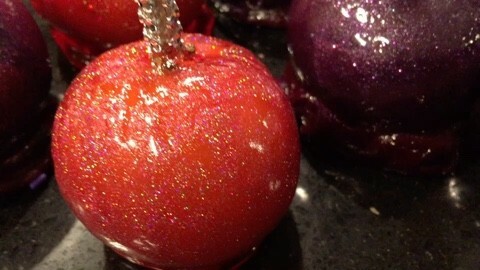 Add our gorgeous glam apples to your display! 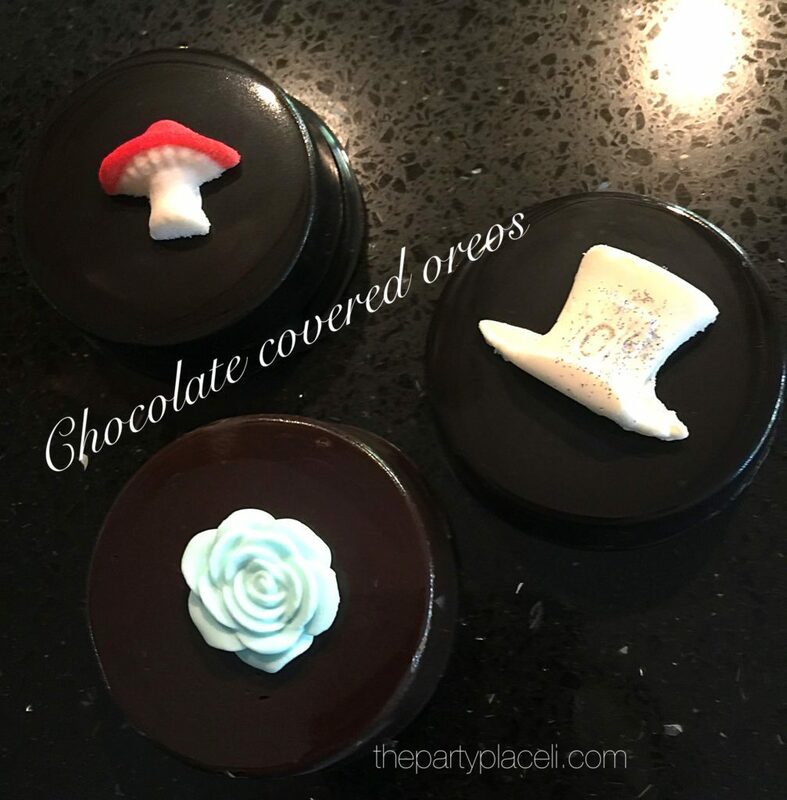 Chocolate covered Oreos for an Alice in Wonderland Theme! 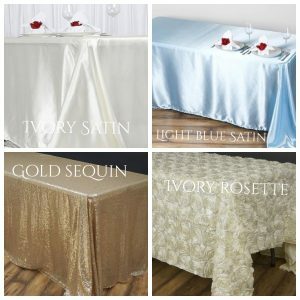 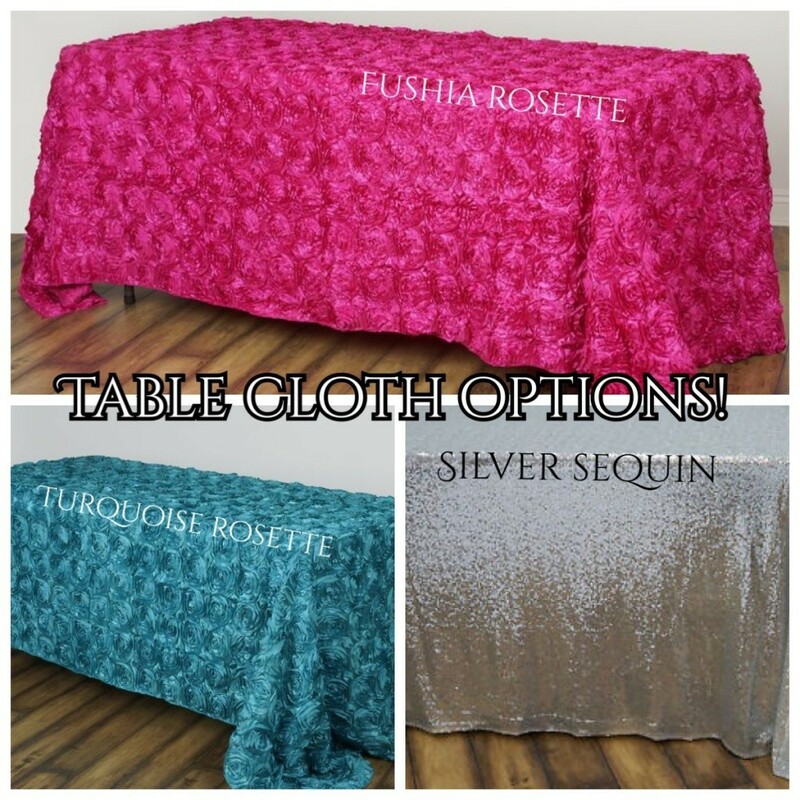 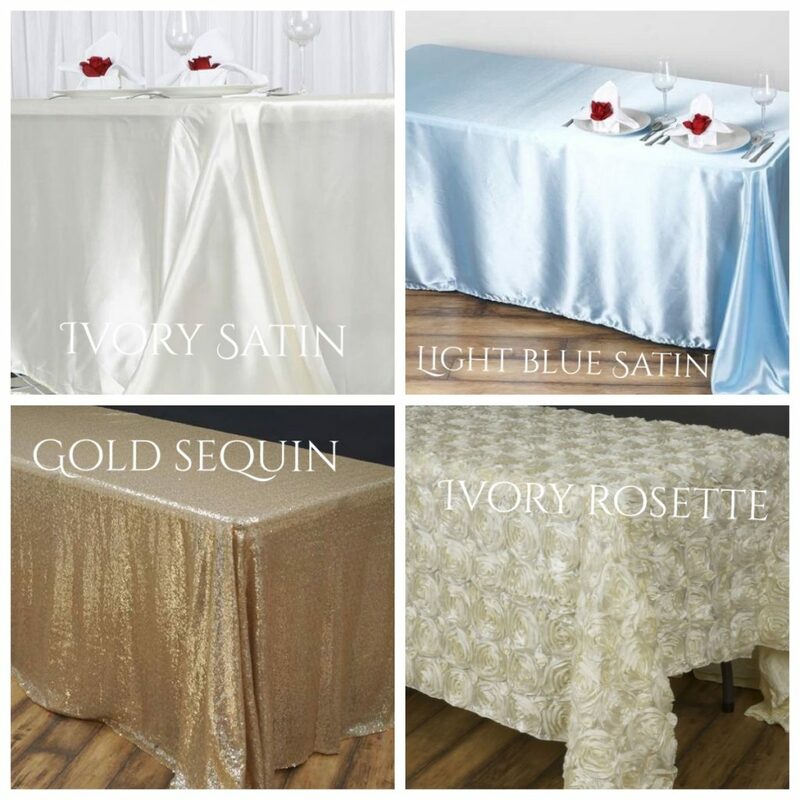 FREE PREMIUM TABLE CLOTH RENTAL! 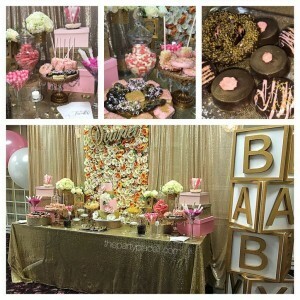 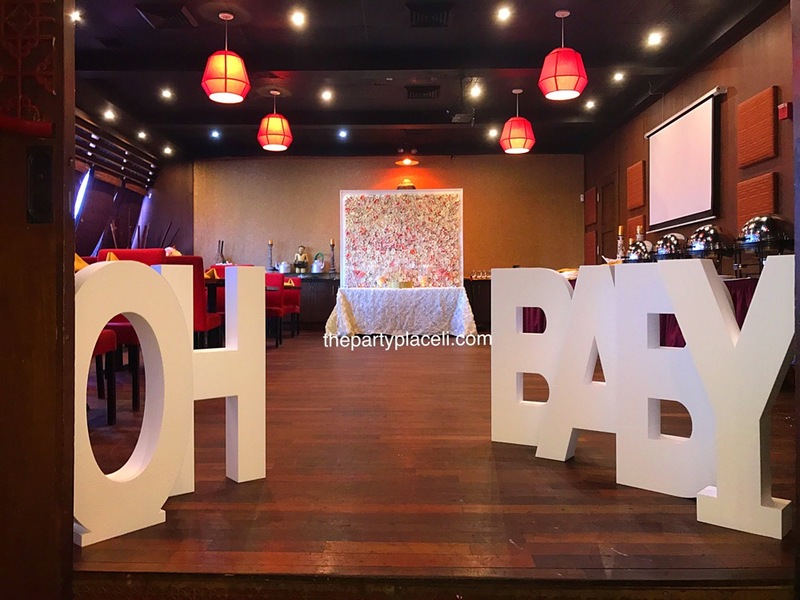 Baby show at Jonathan's in New Hyde Park. Specialty rosette hot pink table cloth, Gold glimmer manzanita tree. 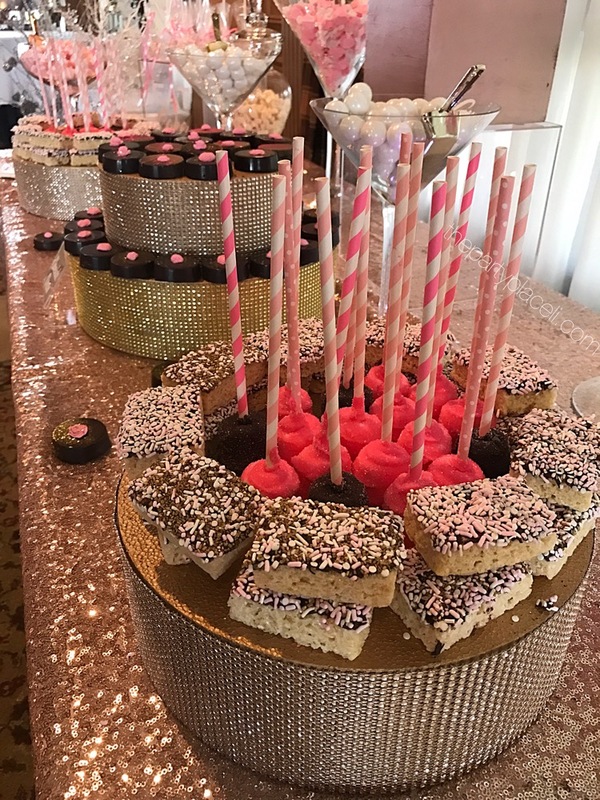 Hand dipped marshmallows and pretzels with hot pink jimmies.